There are just few of the counters which you can use. All of the above counter has its own sub counter category. For details information about few of the important counter can be found here. 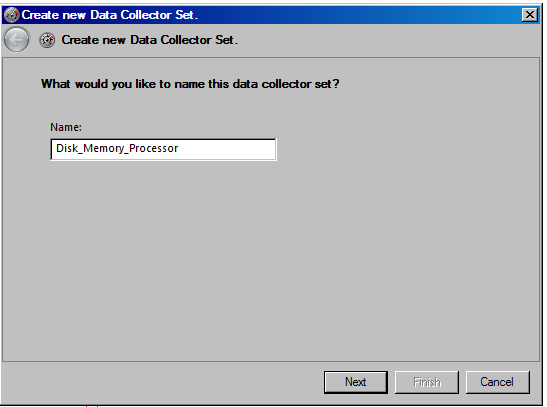 By default, when you create your own “Data Collector Set”, it will save all information in .BLG file in binary format but you can change it to other user readable format like .CSV (Comma Separated Value). Anyway, it is up-to your choice which counter to use. 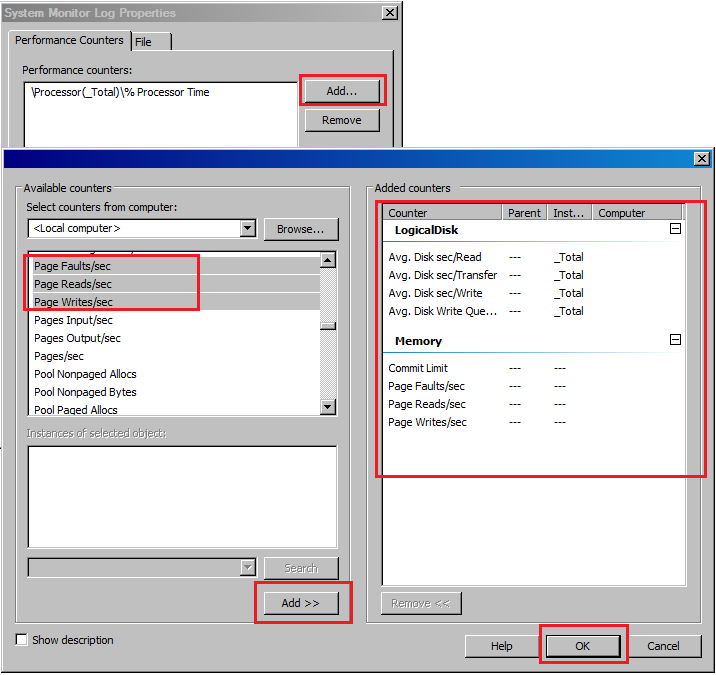 I have created step wise demo which generate one “Data Collector Set” for few counters related to Network, Logical Disk & Processor. 1.) 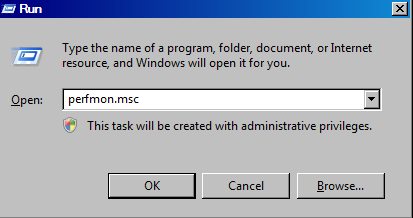 Click on Start Menu->Run and type “PerfMon.msc” and click on “Ok” button. 6.) Now, if you see in main window of Performance Counter, you can see your file is generated in binary format (.blg) so right click on it and click on “Property” from pop up menu. 7.) 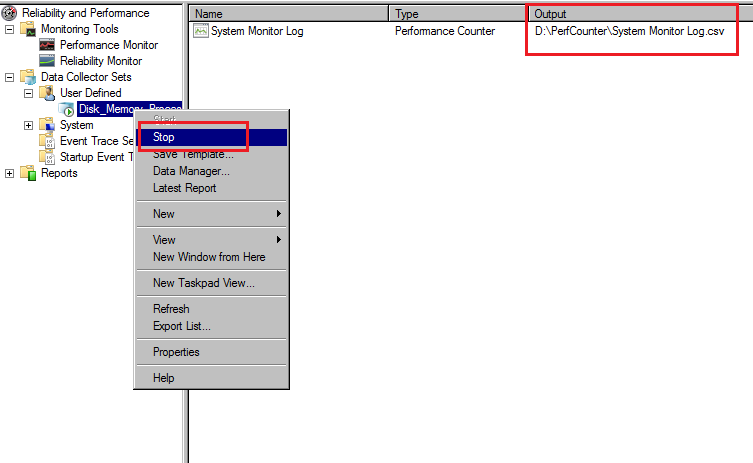 You will get pop up window which shows selected counter, you can add as much counter as your want after clicking on “Add” button from “System Monitor Log Property” popup window. 8.) 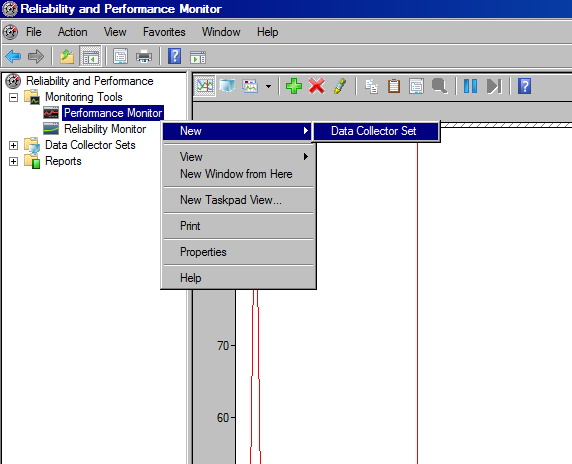 Once you are done with adding counter , click on “Ok” button so that you are returned back to “System Monitor Log Property” popup window. 9.) 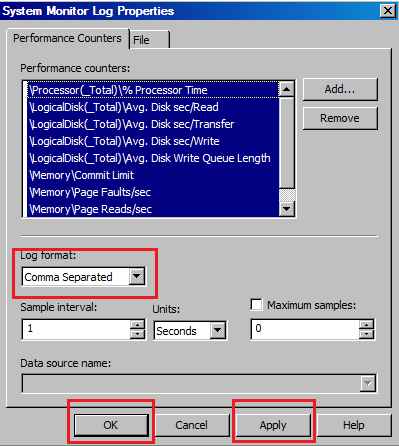 Select “Comma Separated” log format from “System Monitor Log Property” popup window as give in above image and click on “Apply” first and then “Ok”. 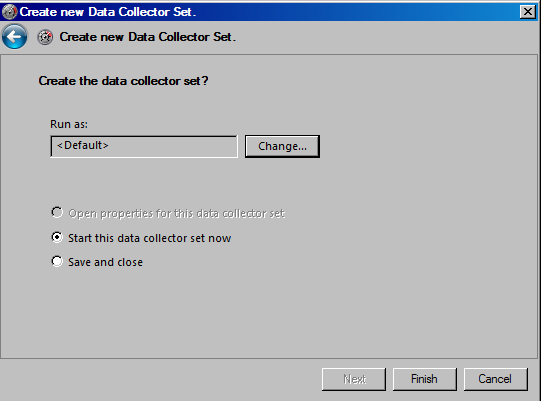 Now right click on your data collector set and stop collecting data and start it again so that your data will be captured in CSV file rather then in BLG file. You are done now. You can keep collecting data as much time as you want and have a look at .CSV file in the path you have given. 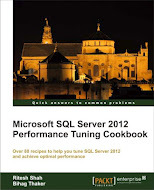 This entry was posted in Performance Counter and tagged Performance Counter on October 11, 2012 by Riteshshah.